This article provides information about a very useful drink – yerba mate tea. Why is this tea so popular and why does its popularity continue to grow? After reading this article, you will know all about the beneficial properties of this tea, as well as why it can replace coffee and how it is useful for smokers and people who want to lose excess weight. For centuries, a lot of medicinal and healing properties were attributed to teas. Green tea, white, herbal, floral – each of them has not only its own unique flavor and taste, but also a distinct impact on the human body. In some countries, people discovered the wonderful properties of the drink, which is little known in the USA. This is yerba mate tea – a unique beverage that combines the invigorating strength of coffee, the healing properties of tea, and the stunning taste of chocolate. Let’s learn more about this drink, which is able not only to lift your spirits and give cheerfulness, but also to improve health state. 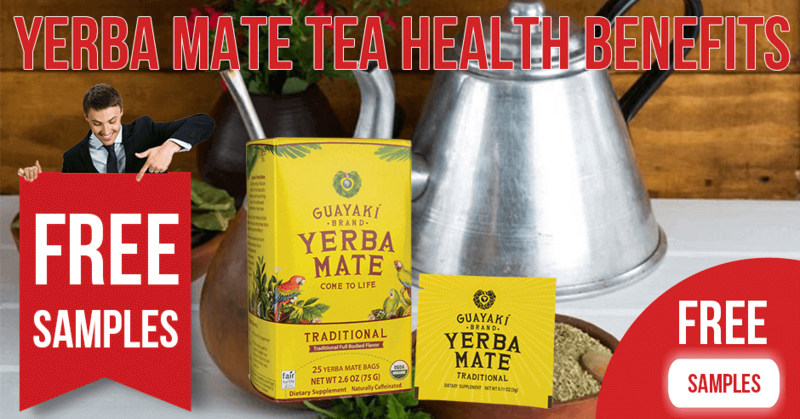 Yerba Mate Tea Ingredients – Does It Have Caffeine? 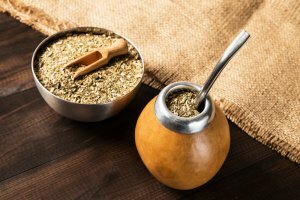 How to Make Yerba Mate Tea? What Else to Try for Energy and Activity? Yerba tea is a fragrant drink that for hundreds of years has been replacing tea and coffee for many people in South America. It is very popular in Paraguay, Uruguay, Brazil, and Argentina, and is gaining popularity in Europe and the US due to its medicinal properties. Studies have shown that yerba tea really helps in preventing many diseases and improving health. After that, yerba tea can be brewed with boiling water, just like ordinary tea. Yerba tea is traditionally drunk through a straw from a special container, called “pumpkin.” The straw should have a special filter to separate the pieces of brewed leaves. Drinking this tea in South America is as much a ritual as the tea ceremonies in China or Japan. Drinking a beverage from the same “pumpkin” is a symbol of friendship, like a pipe of peace for Indians. According to statistics, the citizens of Argentina spend about $500 million a year on yerba tea. Some sources (especially advertising in online stores) claim that yerba tea does not contain caffeine. However, this is just a marketing hook, since caffeine is actually present in this drink. One cup (236 ml) contains 85 mg of caffeine, which is a little less than in coffee but much more than in tea. Due to the similar content of caffeine and many vitamins and oxidants, yerba tea has a similar invigorating effect as coffee, but is much more useful for health. After drinking this tea in the morning, a person feels more cheerful, drowsiness disappears, mental abilities and reaction speed increase. At the same time, there is no increased stress on the heart and no problem with falling asleep, so you can drink this beverage even in the afternoon or shortly before going to bed. Also, yerba tea does not acidify the body like coffee does. Despite the aforementioned advantages, it is important to remember that even a small amount of caffeine can influence the body. Therefore, pregnant women should drink yerba only in limited quantities, as large amounts could lead to a miscarriage or the birth of a child with a low weight. Nervous people also do not need to drink too much yerba in order to avoid irritation of the nervous system. It is generally believed that green tea is a healthy drink containing many antioxidants and other nutrients. Is there a drink even healthier than green tea? Yerba tea is interesting not only because of its invigorating effect, but also because of how it positively affects the health status. The healing properties of this drink were known to the native inhabitants of South America, and now people of the whole world can learn about them. Studies have shown that yerba has anti-cancer and anti-inflammatory effects, and also is rich in many useful substances. For comparison, in green tea, there are about 150 active compounds, including minerals, vitamins, and antioxidants, and in yerba mate there are 196! It really contains more vitamins than famous green tea! In 1964, studies at the Pasteur Institute showed that yerba mate contains all the substances that are needed to maintain human health. Let’s learn more about the valuable properties and benefits of this drink. Yerba tea contains more caffeine than tea, so it gives a person cheerfulness, especially in the morning. A cup of this drink will help to cheer you up in the morning or restore strength after a hard day. Caffeine not only helps you to wake up, but also to increase your energy levels. Some studies have shown that drinking caffeinated drinks increases reaction rate and attention. This is a short-term effect, but it is very relevant if a person needs to quickly gather his thoughts. People who drink yerba mate often say that they have increased attention and ability to make quick decisions. This data was not confirmed by scientists, but instead by thousands of people. If you compare yerba mate vs coffee, you can say that this drink increases your energy level, but has no side effects (like coffee and other energy drinks). To be smart, creative, and purposeful – is that not what everyone wants? Yerba mate will help to fulfill this desire. Even one-time use increases vigilance, mental ability, and ability to concentrate. The constant use of this drink allows you to make this result stable and long-lasting. It’s all about the optimal amount of caffeine – too little to cause side effects, but enough to activate the nervous system. Caffeine triggers the production of dopamine in the body and, thanks to that, a person begins to feel more motivated, and his capacity to work and productivity is increased. The drink is very useful for people who are prone to depression and apathy – it gives them strength and energy. Yerba mate also contains such ingredients as theophylline and theobromine. These are caffeine-related alkaloids, which have a mild stimulating effect. Green tea provides a similar effect, but a little weaker. 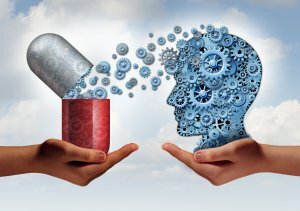 Alkaloids strengthen and optimize the work of the brain, allowing the processing of information faster, improving memory. 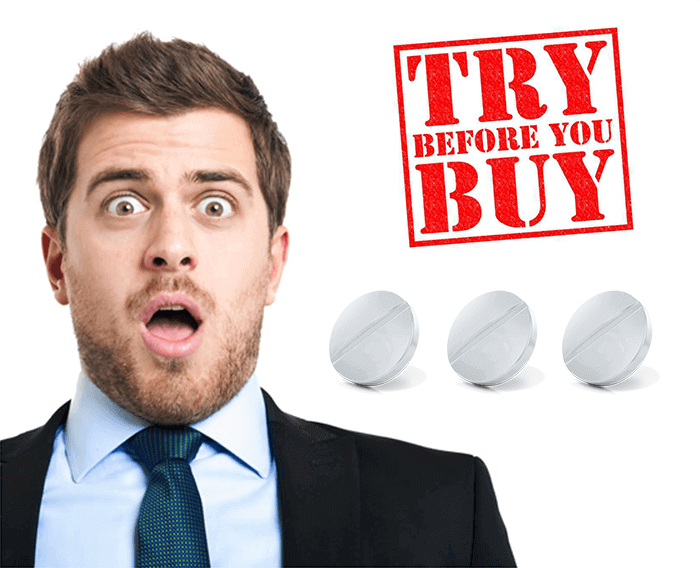 A well-known biohacker and experimenter Tim Ferriss compared the effect of yerba mate to “smart drugs”, but with the difference that tea does not cause side effects and not lead to addiction. For the maximum invigorating effect, Ferriss advises adding ginger and turmeric to the drink. Also, this drink contains a variety of essential organic substances: 15 amino acids, 11 polyphenols, and a lot of tannins, chlorophyll, and flavonoids. There is no tea that contains so many antioxidants as yerba mate does. In addition to the many vitamins and amino acids, the miracle drink also contains saponins. These are special substances that are natural emulsifiers. They strengthen human immunity, have anti-inflammatory properties, and increase resistance to diseases. In addition, powerful antioxidants (polyphenols) help to avoid various illnesses and also strengthen immunity. Naturally, all the positive effects appear with regular and prolonged use of the drink. People who drink yerba mate say so. However, scientific studies have not confirmed the effect of the drink on immunity. At the same time, doctors assure that a large number of vitamins and antioxidants provide a beneficial effect on the body, including the immune system. People who want to lose excess weight (especially if attempts to lose weight last for years) are ready to believe that yerba mate promotes weight loss. Still, is this true? The drink contains special substances – oleanolic and ursolic acids, which accelerate the metabolism, thereby contributing to faster fat burning. They also normalize the appetite and, thanks to that, the person stops overeating and becomes satisfied faster. A number of studies and experiments with animals were carried out. They show the weight loss of animals which consumed this drink. In addition, yerba mate will become a good assistant in losing weight to those people who engage in physical activity. The drink accelerates the oxidative processes, so during training, fat burns much faster. It is important to remember that using yerba tea without physical exercises and while maintaining food habits will not turn an overweight person into a slender one. Weight loss, caused by a single portion of tea, will not bring any results. For people suffering from the retention of feces, diarrhea, and disbacteriosis, yerba mate will be very helpful. It removes toxins and normalizes the microflora, so it is indispensable for food poisoning. The drink has an antibacterial effect, so it can fight many intestinal disorders. Often, disbacteriosis and disruption of the digestive tract are affected by parasites that settle in the intestine. Fortunately, most of them die under the influence of substances contained in this miracle drink. The drink works as a light antispasmodic and relaxes the smooth muscles of the gastrointestinal tract. This effect is useful for those who often have the retention of feces and irregular workings of the intestinal tract. At the same time, tea has no lapactic effect, therefore it can be drunk by those who have a weak stomach. It is generally believed that caffeine washes calcium out of bones, making them more fragile. Recent research has shown that this is not true of yerba mate. This product is not destructive to calcium, but on the contrary, helps to preserve it. 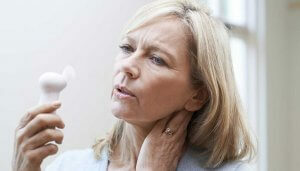 This is very important for women during menopause, when their bones begin actively lose mineral substances. The drink is also able to stop the development of osteoporosis. However, such an effect will only occur with the regular use of yerba. Numerous studies have shown that elderly women who drink yerba mate have bones 10% stronger than those women who prefer other drinks. According to the statistics, the most dangerous among all diseases are that which have a cardiovascular origin. Most often, the cause of these diseases is cholesterol on the walls of blood vessels. Where does it come from? The cause of its appearance is an unhealthy life, bad habits, and especially – improper nutrition. There are many medicines and nutritional supplements that have been created to fight cholesterol, but there is also a remedy that is not inferior to them in effectiveness. This is yerba mate tea. Studies have shown that people who drink a cup of this drink every day for 40 days lowered their cholesterol level by 8-13%. Antioxidants from this tea also have a positive effect on the heart and tone of blood vessels. Does Yerba Mate Extract Kill Cancer Cells? Cancer is a terrible fatal disease, which still has no effective medication that is not also dangerous for the human body. 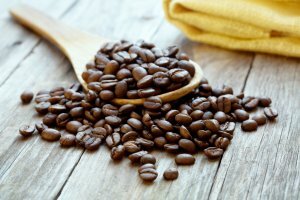 In 2011, in Illinois, a study was conducted that showed that the derivatives of caffeoylquinic acid kill cancer cells. These substances are contained in large quantities in yerba mate and can increase the chance of recovery for cancer patients. However, the main antitumor effect is not only in its caffeoylquinic acid, but in its anti-inflammatory action. As is known, the main cause of cancer is chronic inflammation. By getting rid of inflammatory foci with a delicious drink, you can prevent cancer. This is one of the most controversial advantages of yerba mate. Despite the fact that the tea contains antitumor substances, there is evidence that it has a carcinogenic effect. Among people who regularly consume this drink, many fell ill with cancer. How can this be? The doctors came to the conclusion that this reason lies in the tradition of drinking tea very hot. The chronic scalding of the esophagus, larynx, and stomach can lead to the appearance of a fatal disease. Also, many South Americans abuse alcohol and tobacco, which also increases the risk of getting cancer. In other words, yerba mate can bring benefits only with proper use and the rejection of bad habits. What is diabetes? 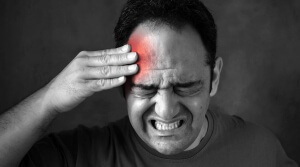 This is a disease which is quite common in elderly people, but also sometimes occurs in young people. The causes of its occurrence are endocrine disorders, increased nervousness, stress, irregular nutrition, etc. Unfortunately, this disease is not curable. A person with diabetes all his life needs to control his blood sugar level, take special medications, follow a special diet, or even regularly take insulin injections. 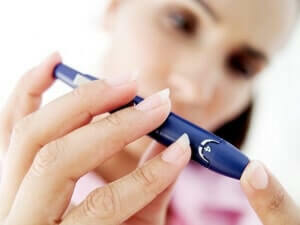 Diabetes often causes various complications and gradually destroys the body. How can yerba mate help in this case? Studies have shown that this drink can reduce blood glucose levels, thereby preventing the emergence of diseases that occur with diabetes. In animals with diabetes that drank this tea, insulin was produced better. Remember – yerba mate can be used as an adjunct to prescribed treatment, but not as a replacement for it. No person has immunity against nervous disorders, especially if the causes of their occurrence have not yet been fully explored. 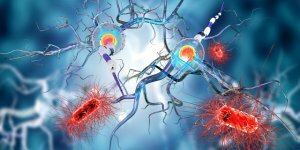 These include Parkinson’s and Alzheimer’s diseases. Unfortunately, these diseases cannot be completely cured, but there are means that help to avoid them. These include yerba mate tea. This drink, when consumed regularly, normalizes the work of the nervous system and prevents negative changes in it. For those who already have any nervous diseases, it will help them to feel better. However, in the presence of nervous system diseases, before buying yerba mate you should consult with a doctor. Bacteria and viruses cause many diseases. Yerba mate is capable of killing some bacteria, microbes, and spores of fungi. To a greater extent, this applies to bacteria that settle in the gastrointestinal tract, causing inflammation, as well as poisoning and disrupting the whole organism’s functionality. The drink will help to avoid inflammation in the gastrointestinal tract and will kill some intestinal parasites. Since yerba mate is capable of killing fungi and microbes, its use has a beneficial effect on the condition of skin and hair. As is known, some kinds of fungi are responsible for the reddening and peeling of the skin. Thus, the regular use of tasty and fragrant yerba tea not only lifts the mood, but also helps to get rid of dandruff and make the skin more beautiful. True, this data has not been thoroughly tested and requires additional research. A lot of people seek means to improve potency and enhance libido, but the remedy is near. The unique properties of yerba mate also extend to the sexual sphere. The drink is known as a soft aphrodisiac, which enhances sexual desire and libido. A huge vitamin complex makes the body healthier, thereby increasing fertility. This miracle tea is equally useful for the reproductive health of men and women, as it helps to establish hormonal balance and enhance health state. Like most vegetable decoctions, yerba mate acts gradually. For a better effect, you need to drink it regularly. The yerba mate cup is able to relieve the pain syndrome due to its caffeine content. Unusual properties of caffeine were discovered by British scientists in 2001. A group of tested people (with an easy headache) were given ibuprofen (one group) and ibuprofen with caffeine (another group). As a result, it was found that there were 13% more positive responses from the “caffeine + ibuprofen” group. This means that caffeine is able to tone up the nervous system and reduce pain. Of course, yerba mate will not be able to eliminate severe pain, but it can deal with a mild headache that might occur in many people at the end of a hard day. Smoking is a dangerous habit that can lead to inflammatory processes in the lungs, and even cancer. Despite this, many people do not want to part with a cigarette. Yerba mate will be useful for them, as it can reduce the negative effects of smoking. The drink contains substances that eliminate inflammatory processes in the body, including in the lungs. It also increases the metabolism rate – this leads to a faster clearance of the lungs from tar and toxins. 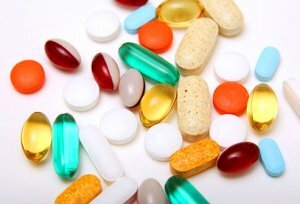 Antitumor substances reduce the risk of cancer development. As already was mentioned above, tea positively affects the heart and blood vessels, so for smokers, it is a really good thing! Scientists found that the antioxidants contained in the drink are able to eliminate mutations in the DNA. Usually, mutations in DNA occur under the influence of oxidation in the course of life. Yerba mate is a very powerful antioxidant, therefore it is able to protect against breakages in the genetic code. Also, it can restore the parts of the DNA chain already destroyed due to oxidation. 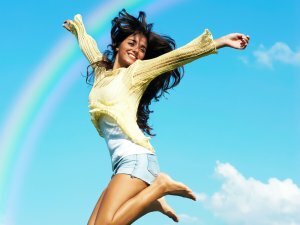 It is important to consider that the number of free radicals in the body is affected by a person’s lifestyle. Thus, in the presence of bad habits and an unhealthy way of life, no drink will save you from a mutation in your genes. Anxiety and increased nervousness are big problems for many modern people. Stress, the rapid rhythm of life, lack of sleep, uncertainty, inability to relax – all this leads to an increase in anxiety. Scientists conducted a series of experiments (on mice) and concluded that the substances contained in yerba mate have a neuroprotective and stimulating effect. They investigated mice that consumed the drink, and found that they quickly solved all tasks, adapting rapidly to situation changing and being less susceptible to panic. This effect is gained due to the combination of caffeine with substances that soothe the nervous system. 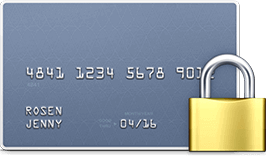 It allows you to get rid of anxiety, but it does not reduce vigilance and attention. Moreover, under the influence of this drink a person becomes calmer, so he can think more quickly and efficiently. 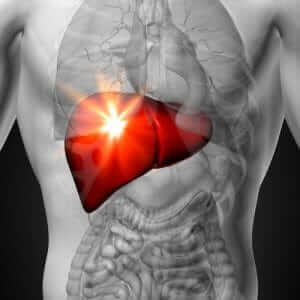 The liver is one of the most important organs in the human body, which accounts for the entire “strike” of unfavorable factors, bad habits, and malnutrition. The liver constantly removes toxins from the body, promotes digestion, and neutralizes harmful factors. That’s why the ancient Greeks believed that inside of the liver is where rests the human soul. Yerba mate helps the liver in its hard work. It increases the outflow of bile, thereby reducing the risk of stagnant processes and preventing the formation of gallstones. Also, yerba tea is able to eliminate inflammatory processes in the liver, gallbladder, and bile duct atresia. This is very important for those people who like to eat fatty food or who often drink alcohol. This tea is one of the best options to start with in the early morning, but why is it better than coffee? Yerba mate contains three main components that have a stimulating effect on the nervous system. These include caffeine, theobromine, and theophylline. Coffee also has them. So the main difference lies in the details. In order to find it, let’s compare these two delicious drinks. Causes a feeling of comfort in the body, as it stimulates the body and mind. 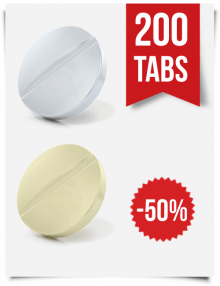 Improves the work of the brain and muscles. It can over-excite people with a sensitive nervous system. This happens due to the presence of caffeine in the drink. 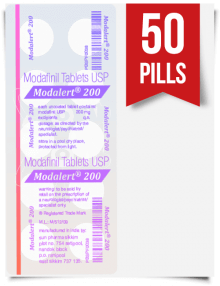 Has a high acidity, which can aggravate gastritis and ulcers. Also, has a negative impact on the kidneys and may cause heartburn. A powerful anti-inflammatory, antibacterial, and antitumor agent that normalizes blood pressure, cholesterol, and glucose levels. Contains powerful antioxidants, lowers cholesterol in the body, and prevents atherosclerosis. There is a link between the drinking of hot drinks and throat cancer. In other matters, doctors say that cancer can arise from drinking any brewage, if its temperature is very high. 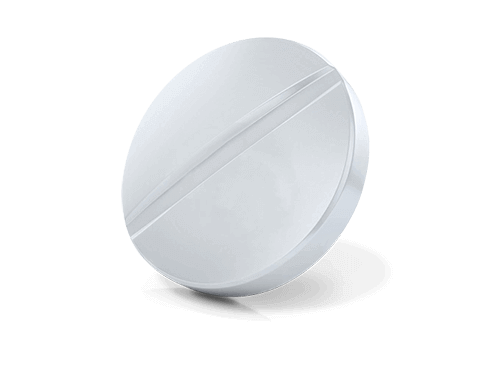 It interferes with the absorption of zinc, calcium, and magnesium. Have a huge amount of vitamins, minerals, and antioxidants. 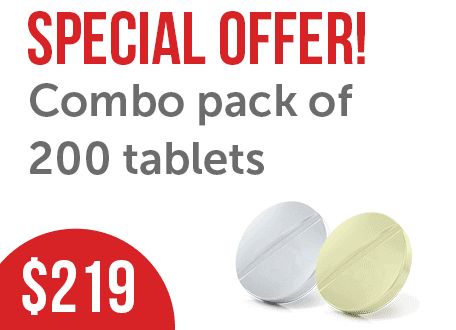 Reduces blood glucose levels and prevents the development of type 2 diabetes. 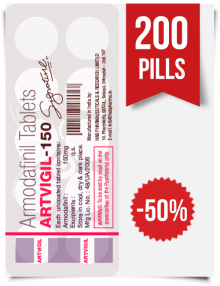 – Increases the level of cortisol in the body, which causes a feeling of anxiety and irritability. 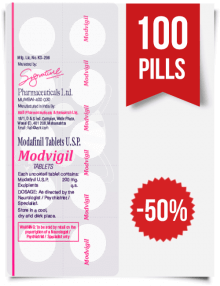 Prolongs life and strengthens health. Improves digestion and has an easy laxative effect. – Daily use of coffee makes many sensitive people hear noises in their ears and heartburn. As you can see, yerba mate tea has more advantages and fewer drawbacks than coffee. However, it is also important to consider a person’s individual tolerance and taste preferences. It is likely that the drink will bring more vigor, happiness, and positive effects, and you will really like the taste. You can prepare this miracle tea in several ways. Some of them are very simple, and some require certain skills and time. The easiest way to brew yerba is to make this as regular tea, by pouring it with boiling water. For such cases, the beverage is packaged in special sachets. True, lovers of this drink argue that the packaged form does not give you all the benefits of the tea. Another variant of yerba preparation is to brew leaves in a special mesh filter – in this case, the taste will be more saturated. After a little time, the taste and aroma of the drink will become stronger and deeper. Some admirers of yerba mate tea taste recommend brewing leaves in the cezve (like a coffee). Still, if even this does not seem enough, you can brew the drink in a special “pumpkin.” Also, in order for yerba tea to save its taste and aroma, it must be brewed with hot water (up to 194 degrees Fahrenheit), but not with boiling water. To achieve this temperature is very simple – you just need to wait a few minutes after the water in the kettle boils, and then pour water into a cold metal thermos. This water shall then be the best to pour for the tea. In addition, the taste of the drink also depends on how it was brewed. Shredded leaves should be folded in a slide on the bottom of the bowl, and then water of the right temperature poured on the walls of the “pumpkin.” Gradually coming in contact with the water, yerba leaves give the drink not only all their taste and aroma, but also their useful substances. To drink such tea is better with special tube with a strainer on its end (bombilla). This tube will allow you to enjoy the rich taste of yerba without any discomfort. This is how the tea is prepared in its homeland, and this variant can mentally move you into the hot sun of Argentina. Yerba mate tea is a drink that has a strong effect on the human body, so it is not without contraindications and side effects. Side effects usually appear with the frequent use of tea in large quantities. Some people may experience anxiety and insomnia that is caused by caffeine. If you do not tolerate caffeine well, then you should drink yerba mate tea very sparsely and carefully. Perhaps it contains too much caffeine for you. Regular use of the drink is not recommended for those who have a weak stomach, since this tea has a laxative effect. For women who are pregnant or breastfeeding, it is not advised to drink a lot of yerba mate. For children, this drink is also not recommended. As statistics show, tea combined with a large amount of alcohol and tobacco increases the risk of getting cancer. Therefore, if you cannot reduce the amount of alcohol you drink and/or the cigarettes you use, do not drink this beverage. There is evidence that people who smoke a lot and drink yerba mate have a higher risk of developing bladder cancer. Despite the fact that in South America this drink is consumed a lot and often, you do not necessarily have to do it. By enjoying the taste of this tea on weekends or several times in a week, you probably will not hurt your health. Since caffeine stimulates the nervous system, it cannot be combined with drugs that have a similar effect. Caffeine can not only enhance the stimulation of the nervous system, but it can change the effect of any medication in general. However, if you have drunk coffee previously and felt good, then you should not have any problems with yerba tea. Yerba mate is a drink that surprisingly combines the best properties of coffee and green tea, but is also safe. It invigorates, but very rarely causes insomnia or overexcitement. It also contains many organic nutrients and antioxidants which are necessary for a good health state. Antioxidants help to avoid many diseases, prolong youth, and increase life expectancy. The drink is also able to strengthen the bones and saturate the body with the necessary minerals. Even if you discard all the useful properties, then yerba mate is still a tasty and fragrant drink, which can be a good alternative to the usual green or black tea and coffee. If you need vivacity for the whole day, then yerba mate, coffee, or green tea (especially with lemon) will bring it to you. However, there are times when this is not enough, such as when a person has diseases that cause constant drowsiness and weakness. The reasons for this state can be many – from disrupted work of the thyroid gland or a lack of vitamins to prolonged stress and depression. A lot of people, especially those who alternate night and day shifts, need stimulating and safe means that will allow them to perform their work qualitatively. At the same time, there are students who cannot sleep for several nights during their exams. In such cases, nootropics will come to their aid – drugs that are used for keeping the nervous system in an alert state. They have more precautions than yerba, so it is advisable to consult with a doctor before taking the medicine. 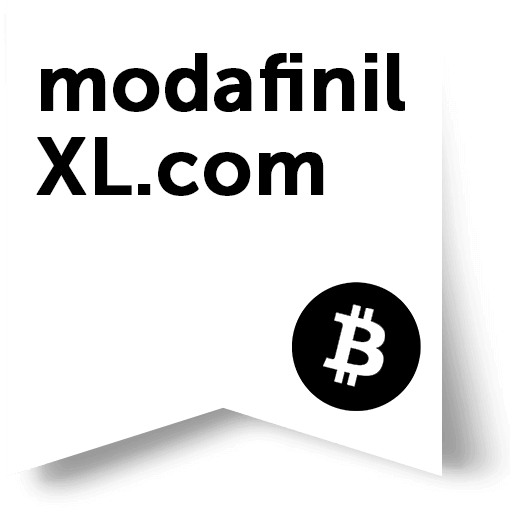 In our ModafinilXL online store, you will find many nootropics at a bargain price. 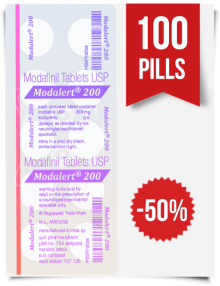 We provide such high-quality products as Modafinil, Provigil, Armodafinil, etc. All of them are well-tested, effective, and have a lot of positive reviews.